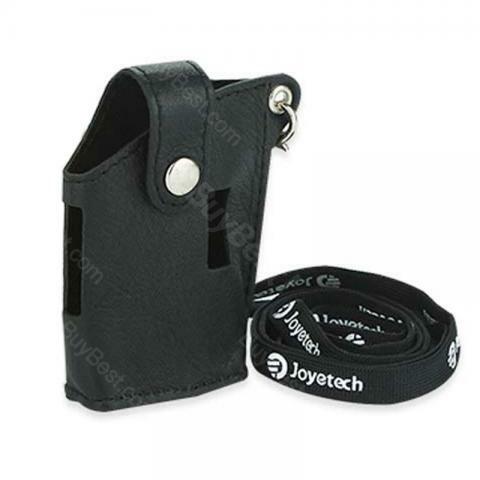 Joyetech eGrip Leather Case with Lanyard, a special leather case for eGrip with soft, comfortable touch feeling. It can be attached to your belt with the buckle behind, or hung before your chest. Protective case for your egrip kit. Joyetech eGrip Leather Case w/ Lanyard, a special leather case for both eGrip original and eGrip OLED with soft, comfortable touch feeling. It can be attached to your belt with the buckle behind, or hung before your chest. A very handy carry case for you! • It's specially designed for Joyetech eGrip.